Miners’ Health and Welfare is a Derbyshire Record Office project, funded by the Wellcome Trust. The National Insurance (Industrial Injuries) Act 1946 was part of the 1945-51 Labour government’s ambitious programme of welfare legislation. The NUM archive contains 14,500 case files dating from 1948 to the 1990s, relating to miners’, and miners’ widows’, applications for benefits under this legislation and their appearance before the Local and Medical Appeal Tribunals. These records document the early days of this new, important piece of legislation and the challenges of implementing it. We can see some of the difficulties the NUM in Derbyshire had in representing their members and guiding them through the appeals process. The records appear to reflect the dominant medical opinions of the day, but also the changing attitudes towards certain conditions and new scientific research published in periodicals such as the British Journal of Industrial Medicine. They show that the authorities were still trying to determine the extent to which certain injuries or diseases were caused by an individual’s occupation. The changing machinery of government, and of the appeals process itself, is also evident in the records. A database detailing the miners, their accidents, injuries and prescribed industrial diseases (such as pneumoconiosis, beat knee and dermatitis), and the appeals process itself is being created as part of the project. Work began in April 2016 and so far over 5,800 cases have been entered in the database, covering the period 1948-1971, and over 60 collieries across north Derbyshire have been represented in the records so far. The miners themselves have ranged in age from 15 to 74, and many of them would have originally been from mainland Europe. The Digital Humanities Institute is supporting the Derbyshire Record Office’s work in creating the database by developing a user interface which will enable the public to search, browse and view the records, as well as contributing to the Record Office’s strategy for long term management and preservation of its digitised records. The Tribunal Records are already providing insights into the lives of miners throughout Derbyshire – their days and nights in the collieries, the precariousness of their employment, the type of work they did and its dangers, and their domestic lives. The miners’ own voices, telling us something of their experiences, can be heard throughout the records. We are able to see just how detrimental an injury or disease could be for a miner’s income even if awarded benefit; miners that went from working at the coalface to so-called ‘light duties’, for instance, experienced a significant drop in wages. 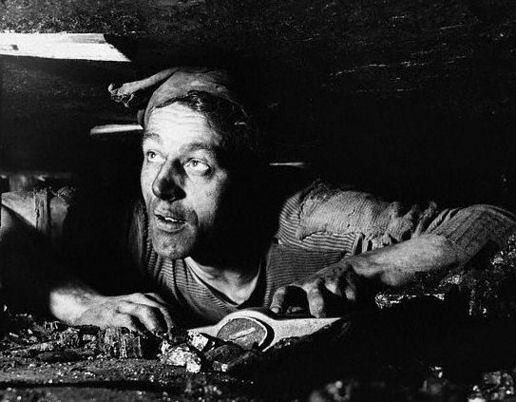 There are hints that performing ‘light duties’ following an accident meant a miner was deemed incapable of undertaking more strenuous work underground, which carried a certain status. Individuals also express concern that they are putting on weight through a lack of activity, perhaps revealing something about the self-image of miners. As well as the physical ailments suffered by miners, the records also include references to their mental health and intellectual capacities.